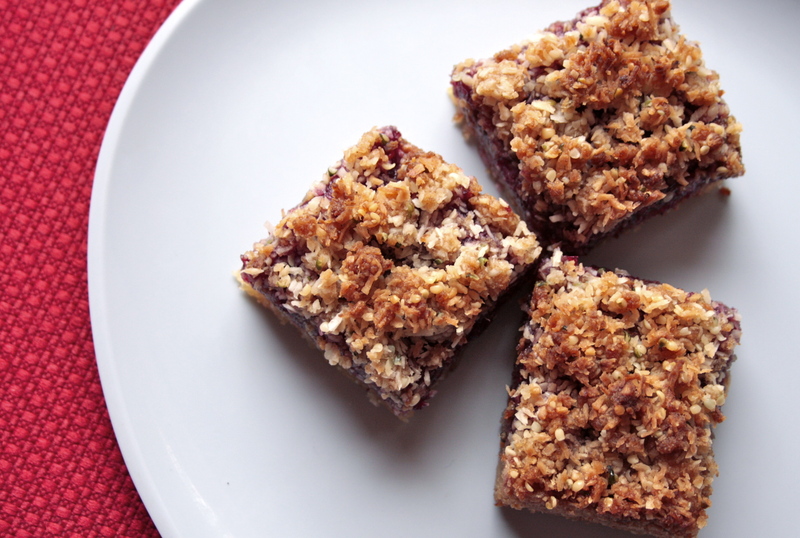 gluten free coconut almond jam bars | eating with S.O.L.E. Press mixture into 9×9 pan and bake for about 10 minutes until just set. Remove and cool. Spread a good amount of jam about 1/5-2 cups over the crust (base) leaving 1/4″ un-jammed. Bake at 350 for another 25-30 minutes, until the top is golden brown. Cool, slice and indulge!